You are now chatting with William from Customer Services. William: Is there anything else I can help you with? William: Hello! Welcome to Customer Services. William: Sorry for the first statement. Robert: No worries, you must have clicked the wrong button. These things happen. William: May I please have your email address registered with your account while I review your request? William: I understand that you have ordered the software and did not receive the download link to your account. Am I right? William: I am sorry to hear that. Robert: Thank you, that means a lot. William: Welcome, Let me see how best I can help you with this issue. May I place you on hold for 2-3 minutes while I check for the information. Robert: Sure, please go ahead. Am I allowed to hum the theme to Two And A Half Men whilst I wait? William: Thank you for waiting. One moment please. William: Thank you for the patience. William: Sorry for the wait. Please do stay online. William: Not to worry, I will send you the reset password link to your email address. please login to this email and click on the password link to reset the password. Is that fine with you? Robert: Yes, please do. Thank you. How long is the email likely to take? Is it going to be instant or should I get a sleeping bag? William: I have sent you the password link. Please login to this email and click on the password link to reset the password. William: Let me check information for you. William: Here’s the link: please click on the link to reset the password. Robert: Perfect – that’s worked. William: That’s great! Is there anything else I can help you with? William: You may receive an email survey in reference to this interaction. Your feedback is very much appreciated. Robert: Sure. I’ll suggest they give you a big, gold star and promote you to management. I think I’ve asked this before, but are any of your friends cleaners? William: It’s my pleasure serving you. William: Since we have not heard from you for some time, we will now end this chat. 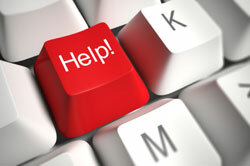 Please click to chat with us again if we can be of further assistance. William: Sorry for the last statement. William: Thank you for contacting us. We are available 7 days a week, 24 hours a day. Goodbye! Robert: The pleasure has been all mine. Robert: What have you done with my cat!? Robert: Sorry for the last statement (clicked the wrong button! ).